I was given this little kitbash by a friend and so I can’t claim to have come up with the design itself. 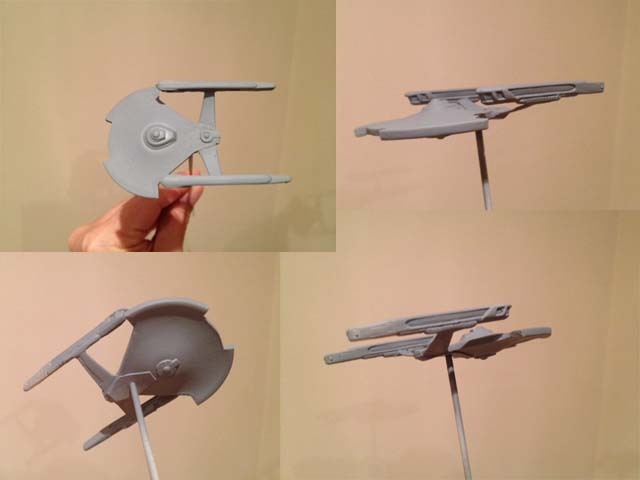 It is a cut down saucer from the 1:2500 set coupled with nacelles from the Constellation class kit which was released by Futura (quite cheap at one point but pricey now). So a simple little build essentially and one that had sat in Mark’s stash for quite some time.